China's first national-level legal regulation on public-private partnership projects is in the pipeline, to prevent the expansion of local governments' contingent liability, as infrastructure is supporting economic growth, according to a senior official. Guidance for PPP project management will be released before the legal regulation by the Ministry of Finance, to identify local governments' spending responsibility in the model and clarify the boundary between on-budget financing and contingent liabilities, or the hidden part of local governments' debt, said Wang Yi, director of the ministry's Financial Department. Based on the guidance, the legislative process of PPP management rules could be further advanced, which is now being drafted jointly by the Ministry of Finance, the National Development and Reform Commission and the Ministry of Justice, said Wang. "It will further standardize the supervision framework of PPPs," said Wang, who also said that "positive and negative lists" might be rolled out, to separate good projects from illegal ones, after a project screening process. PPPs are long-term contracts between the government and a private contractor to build public infrastructure and provide infrastructure services, according to a definition provided by the International Monetary Fund. Since it was promoted in China in 2015, some projects have been used by local governments as off-budget channels to fund spending. That could increase the debt and fiscal risks of local governments. PPP development accelerated in China especially after the issuance of the new budget law, which tightened restrictions on local government financing vehicles - unregulated off-budget financing measures. "All PPP projects should be supervised under a whole-life-cycle performance evaluation framework, and this management philosophy is suggested to be a foundation of the legal regulation," said Wang Zecai, a researcher at the Chinese Academy of Fiscal Sciences. The "whole life-cycle" include five stages: reparation, purchase, construction, operation, assessment and handover. "Investment targets and evaluation standards should be set before starting projects, to prevent unregulated PPPs increasing local governments' hidden debt," he said. "The government payment (in PPP projects) should not be identified as local government contingent liabilities, according to the accounting rules," said Wang. 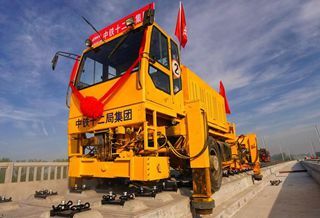 The legal regulation will further clarify the government's investment responsibility and improve PPP management as well as crack down on local government fiscal risks, added Wang. Jia Kang, chief economist of the China Academy of New Supply-side Economics, said that the PPP investment model can be used to implement a proactive fiscal policy, as it can support infrastructure construction especially during an economic slowdown. "The policy adjustment is not to stop the model, but to strengthen regulation and lead to long-term sustainable development," said Jia. The finance ministry started a campaign to investigate and ban illegal PPP projects in November 2017. By the end of 2018, more than 8,000 PPP projects had been registered, and the total investment amount accounted for nearly 14 percent of total GDP, according to official data.